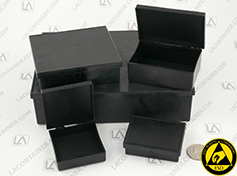 Rigid hinged plastic boxes made from conductive black, anti-static blue tint, or ABS plastic. 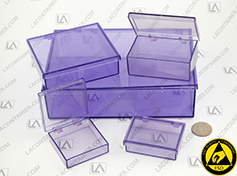 Square and rectangular plastic boxes with rigid two piece hinged design. Made from conductive black or anti-static blue tint plastic.